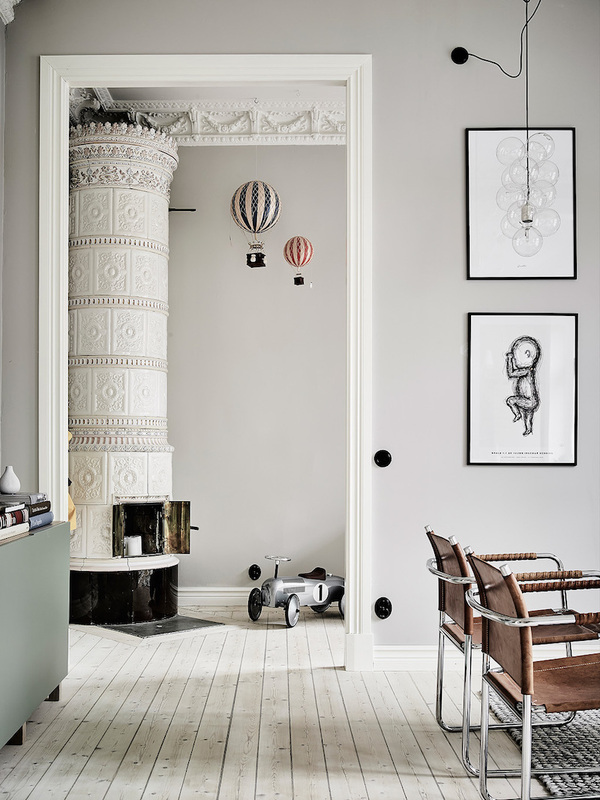 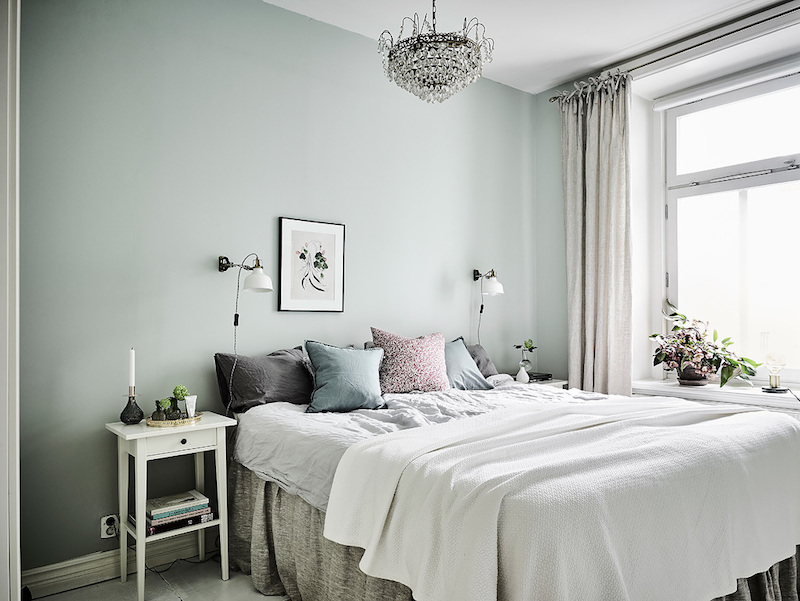 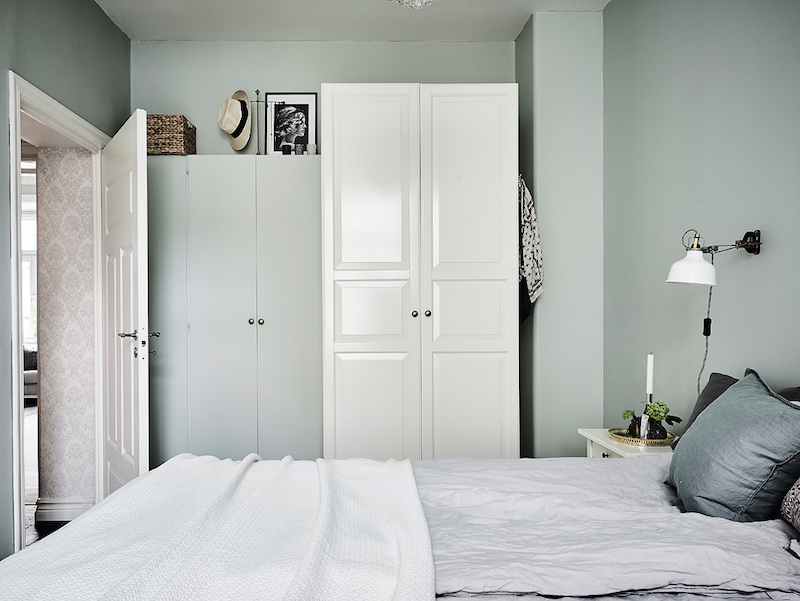 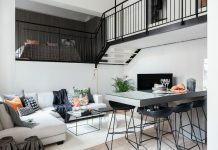 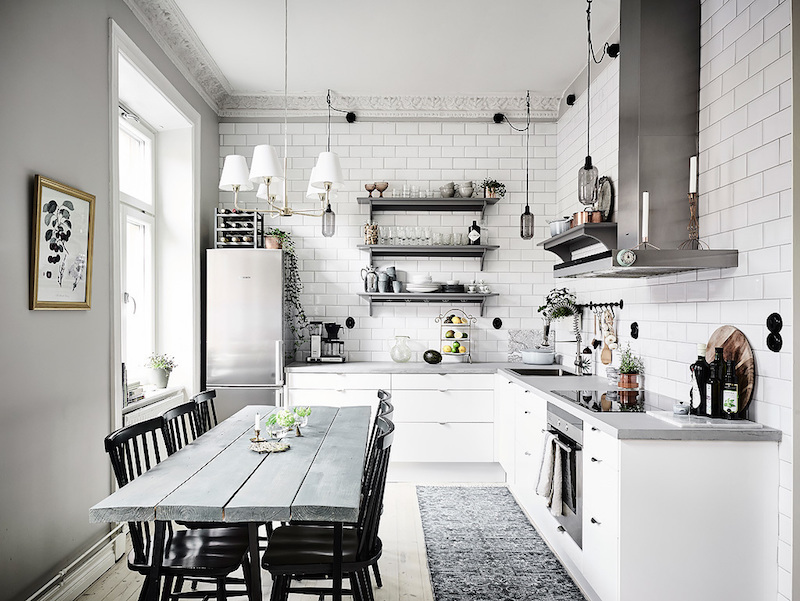 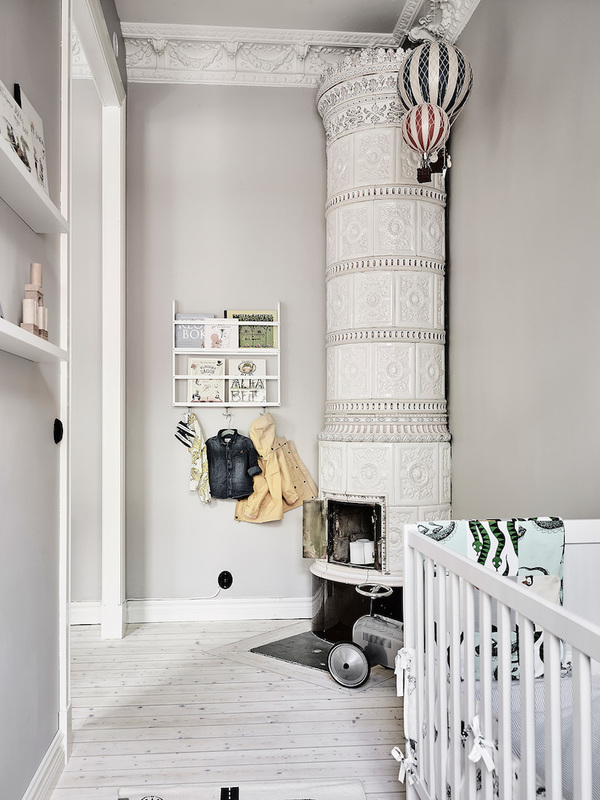 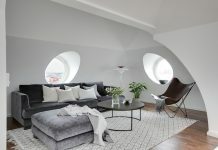 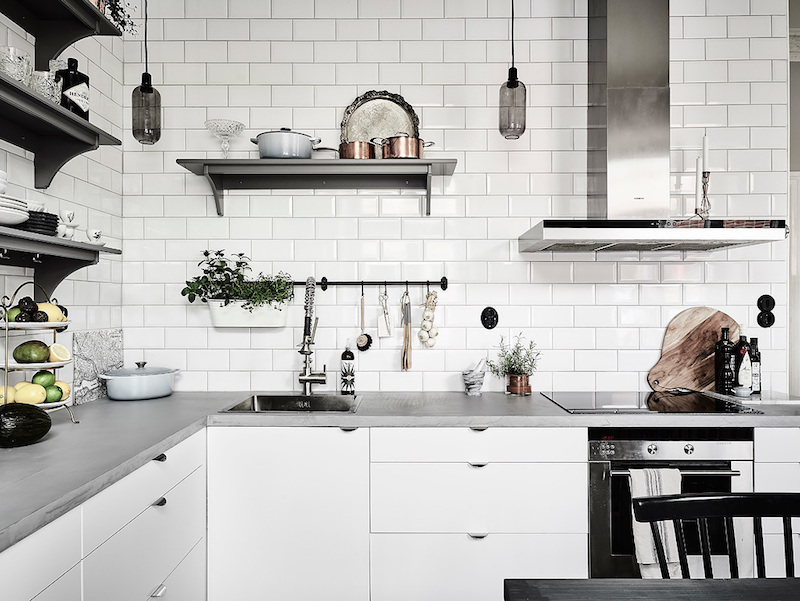 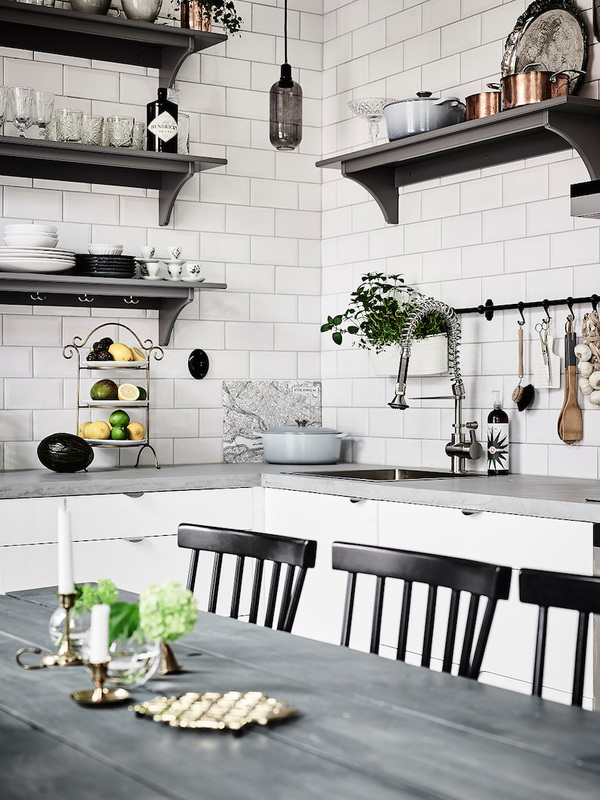 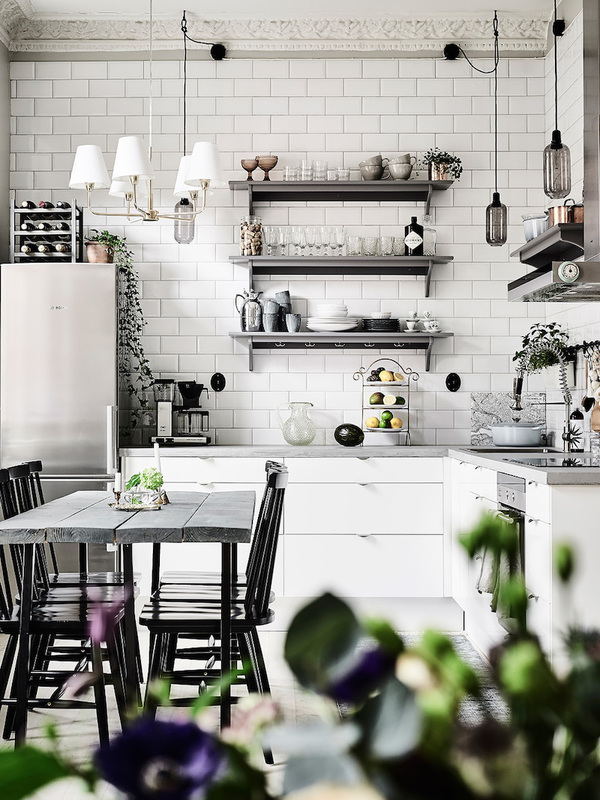 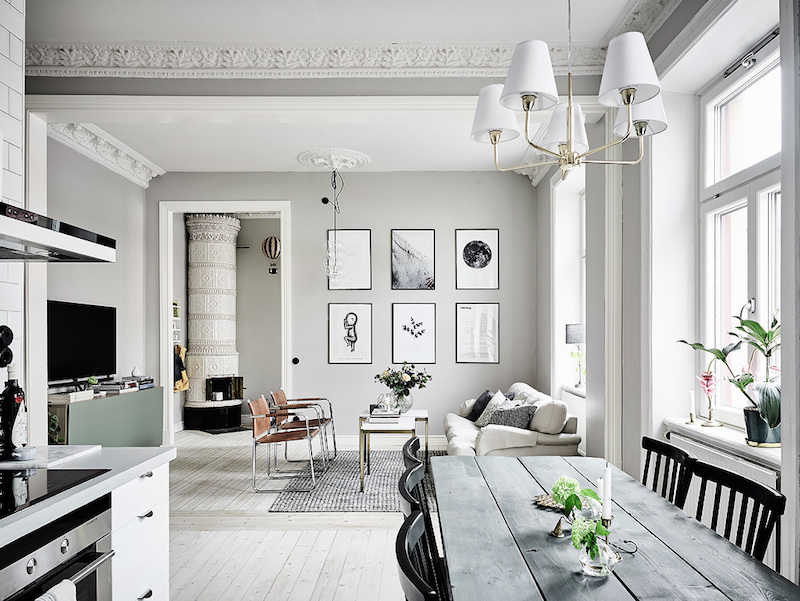 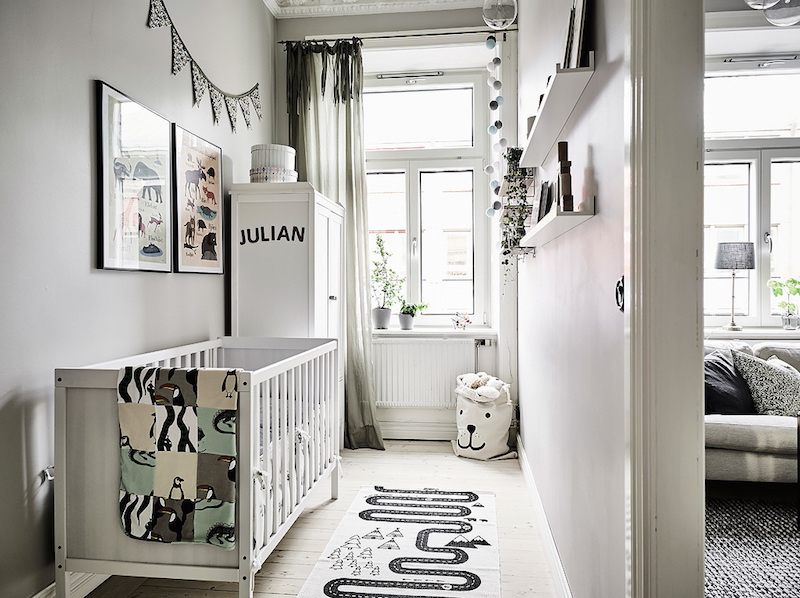 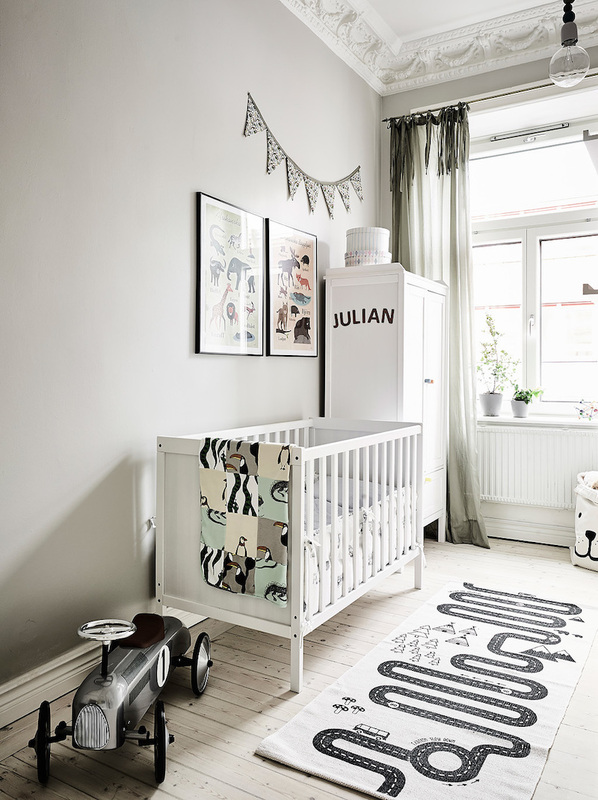 Created from dozens of interesting and personal looking decor details, this Scandinavian style home apartment in Sweden charms with a cozy and comfortable atmosphere. 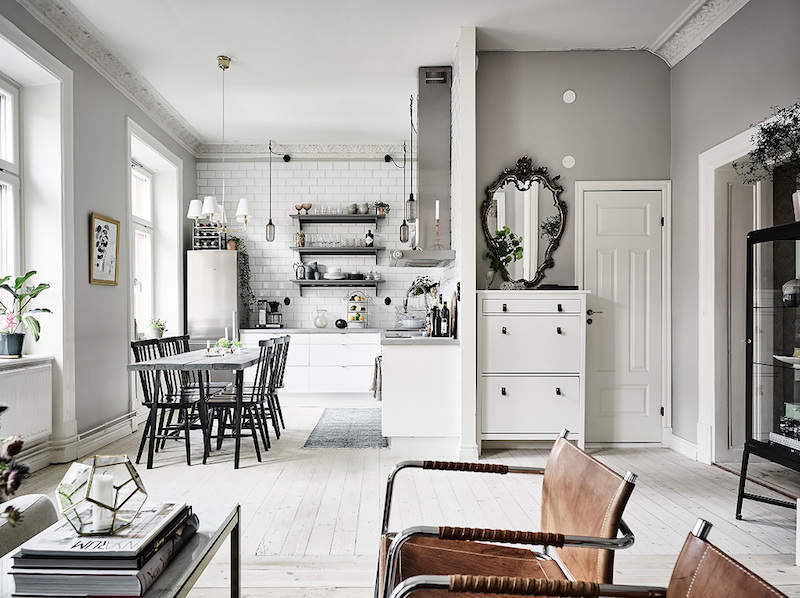 Dominating white and grey tones get spicy texture from leather and wooden furniture, while the decor elements on the walls and the lighting fixtures give the final touch for the interiors. 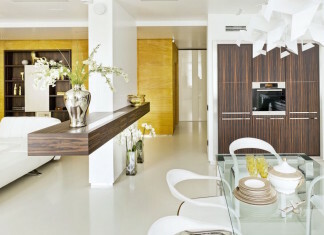 This beautiful apartment is listed at Entrance.